What PFAS are, why they’re harmful, and what we can do to protect ourselves from them. Drinking water is one of the most common routes of exposure to PFAS. PFAS have polluted the tap water of at least 16 million people in 33 states and Puerto Rico, as well as groundwater in at least 38 states. Toxic chemicals known as PFAS are found in everyday products like waterproof jackets and nonstick pans. They’re linked to cancer, and they’ve contaminated drinking water sources across the country. The U.S. Environmental Protection Agency recently released its delayed Nationwide Per- and Polyfluoroalkyl Substances Action Plan. It falls far short of what is needed to protect communities. Here’s a breakdown of what PFAS are, why they’re harmful, and what we can do to protect ourselves from them. “PFAS” is short for per- and polyfluoroalkyl substances. Chemicals in this class of more than 5,000 substances are found in products like nonstick pans (e.g. “Teflon”), waterproof jackets, and carpets to repel water, grease, and stains. They’re also used in firefighting foam on military bases and in commercial airports. Even personal care products like waterproof mascaras and eyeliners, sunscreen, shampoo, and shaving cream can contain PFAS. PFAS don’t easily break down, and they can persist in your body and in the environment for decades. 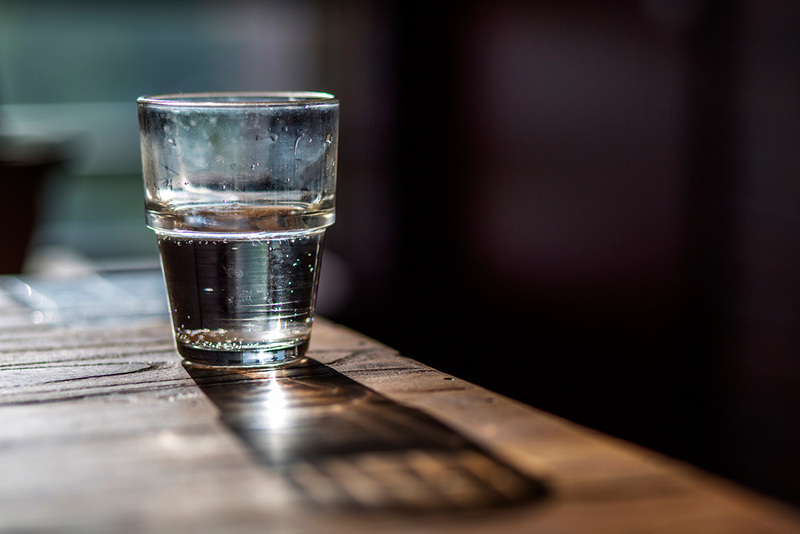 As a result of their pervasiveness, more than 95 percent of the U.S. population has PFAS in their bodies, according to the Centers for Disease Control and Prevention (CDC). 2. What do we know about the harms associated with PFAS? Chemical manufacturers like DuPont and 3M have covered up evidence of the negative human and environmental impacts of PFAS since the 1960s. But mounting research links PFAS to a wide range of health problems. Studies of the best-known PFAS, called PFOA and PFOS, show links to kidney cancer and testicular cancer, as well as endocrine disruption in humans. Scientists have also discovered unusual clusters of serious medical effects in communities with heavily PFAS-contaminated water. Many such communities are near military bases. First-generation PFAS are so toxic that U.S. manufacturers phased them out entirely by 2015 (though they still contaminate water supplies today). Yet against the advice of more than 200 international scientists, chemical companies have replaced several older PFAS with other chemicals in the PFAS family. New PFAS such as GenX act a lot like old PFAS and may be as dangerous. 3. How am I exposed to PFAS? Drinking water is one of the most common routes of exposure. PFAS have so far polluted the tap water of at least 16 million people in 33 states and Puerto Rico, as well as groundwater in at least 38 states. Tap water contamination is likely more extensive than documented, in part because studies often exclude private wells. PFAS contaminate water supplies through two main sources: firefighting foam and industrial discharges. For decades, the U.S. military has used firefighting foam in training exercises at hundreds of bases around the country. Federal law long required these bases, as well as commercial airports, to use foam that contains PFAS. A Department of Defense report released in March listed 126 military facilities where water supplies were contaminated with PFAS levels above the EPA’s current standard. The industrial release of PFAS is another major source of water contamination. In 2016, researchers discovered troubling levels of GenX in North Carolina’s Cape Fear River. The source was a PFAS manufacturing plant owned by The Chemours Company, a spin-off of DuPont. Finally, PFAS can accumulate in the human body through food and food packaging. A study in 2017 found PFAS in one-third of all fast food wrappers, where it can easily migrate into greasy foods. Earthjustice was built for this moment. The law has the power to make change. 4. PFAS are everywhere. How do I avoid them? Avoid items that tout “nonstick” or “waterproof” properties, as they can contain PFAS; reduce or eliminate fast food and carry-out items; and check beauty product labels for the term “fluoro,” which indicates a fluorinated chemical. Consumers can also contact brands to tell them to stop using PFAS in their products. Companies including IKEA, H&M, and Crate & Barrel are already eliminating highly fluorinated chemicals like PFAS from their product lines. However, we need stricter government regulation of PFAS in order to be truly protected. 5. What are regulators doing about PFAS? On the federal side, legislators have introduced several bills to address the PFAS issue. In August, for example, senators proposed a bipartisan PFAS bill to hold federal agencies accountable for cleaning up contamination at military bases across the country. And in October, Congress directed the Federal Aviation Administration to allow airports to use firefighting foams free of PFAS. All of these efforts are good first steps, but regulators and legislators must do more to adequately protect communities from PFAS. The EPA has known for decades about the dangers of these chemicals. Yet the agency only recently jumped into action on this issue, largely due to pressure from lawmakers in states like Michigan, New York and North Carolina, where PFAS water contamination is widespread. In addition, there are no PFAS listed on the Toxics Release Inventory, the primary tool for alerting communities to toxic exposures. On Feb. 14, 2019, the EPA unveiled its delayed Nationwide Per- and Polyfluoroalkyl Substances Action Plan. However, the plan is too little, too late, and falls short of what is needed to protect communities from a class of chemicals that are polluting drinking water and air, while exposing families, particularly children, to a myriad of health risks, including cancer. The EPA's Action Plan does not include a commitment to set a drinking water standard even for PFOA and PFOS, two of the original PFAS that even manufacturers agree are dangerous. The plan states that so-called “short-term actions” are expected to be completed within two years — even though people are being poisoned now. Earthjustice attorneys are trying to obtain medical monitoring for communities near military bases in southeastern Pennsylvania that were exposed to high levels of PFAS. For decades, the U.S. Navy used PFAS-laced firefighting foam that contaminated water sources in these communities. Though several contaminated wells have been shut down, many residents are terrified that contaminated water contributed to significant community health issues, including brain and breast cancer. In October 2018, Third Circuit judges ruled in favor of the residents, allowing their claim to move forward. Earthjustice is also pushing for medical monitoring for residents of Hoosick Falls, New York, who were exposed to PFAS contamination after companies discharged PFOA into nearby groundwater and the municipal drinking water supply. In addition to working directly with impacted communities, our legal, policy, and communications teams are also leveraging our expertise in teaming up with the Center for Environmental Health (CEH), Safer States, and the Safer Chemicals, Healthy Families coalition on state and federal legislation to address PFAS contamination. We filed comments in Sept. 2018 on behalf of children, women, health, environmental and conservation organizations, in response to the EPA’s request for information on specific near-term actions that the agency should take to address challenges presented widespread PFAS contamination. Some of our recommendations include requiring comprehensive testing for PFAS in all public water systems (and notifying the public of the results), and designating PFAS as “toxic pollutants” under the Clean Water Act. That way, companies must inform regulators when PFAS are released into the environment. Jessica A. Knoblauch is a former award-winning journalist. She enjoys wild places and dispensing justice, so she considers her job here to be a pretty amazing fit. About the Healthy Communities Program: Earthjustice works at the regional and national level to ensure widespread protections from pollution and exposure to toxic chemicals. Our fight for healthy communities involves strengthening standards and protections and holding polluters accountable when they violate those standards.